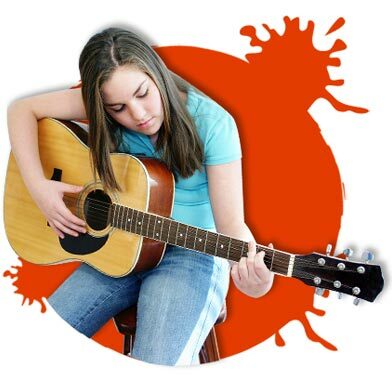 Teaching group music lessons is a much different activity than normal private music lessons. While the end goal is the same, groups require more planning and compromise, and will take some thought and adaptation to get through. Any music teacher who is taking on group lessons for the first time may find them more of a challenge in certain ways, but with the right planning and attitude, Sure they can be successfully managed and quite rewarding in the end. Most of the issues with teaching a lesson to multiple people arise from the fact that there are different skill levels to deal with. Whether you found the students by getting your name on a music teacher listing, or you work at a music store, your groups will have people of different talents and abilities, and this can be tough to navigate. What may be easy for someone in the group may be impossible for another, and on top of this, what interests someone in the group may be boring to another person. So how do you reconcile these differences? Well, to start out, it’s important to realize that you can’t do it completely. What you can do is build the right amount of compromise and flexibility into your lesson plans so that everyone gets something out of their time. If you can, it helps to get the students playing music that they like, but this may not always be possible in a class. One strategy that might work is to play a different style each music lesson, and you can also try to choose generic pieces that should appeal to just about anyone in the class, no matter their age level or tastes. Something else that can make the lessons entertainment and interesting is to have a contest between the students to see who can memorize a melody or the notes of the guitar strings. Have a simple reward and get a natured competition going that will drive the student to practice more and get them enjoying themselves during the music lesson. It may be hard at first to get a group of different students learning the same material, but once you get used to it and find out what works, it can be very fun to teach many new students who may become great musicians some day.